The Hamiltonstövare is a Swedish hunting hound, developed by Count Adolf Hamilton - founder of the Swedish Kennel Club in the late 1800s. It is also called Hamilton Hound and Swedish Foxhound. The Hamilton Hound is a popular breed in its native country, but rarely seen abroad. The dogs are designed to only hunt fox and hare, and they have an extremely high prey drive for both sight and scent. This makes them excellent at certain sports, such as lure coursing. The breed is a mix of English Foxhounds, Harriers, and now extinct breeds from Germany; the Holsteiner Hound, the Curlandish Hound, and the Heiderbracke. Sweden has many forests and mountains, so the terrain can be difficult. The country is on the same latitude as Greenland, but has a somewhat milder climate due to warm ocean currents. Large parts of the year are still very cold, and a suitable hunting dog had to be flexible and tough. 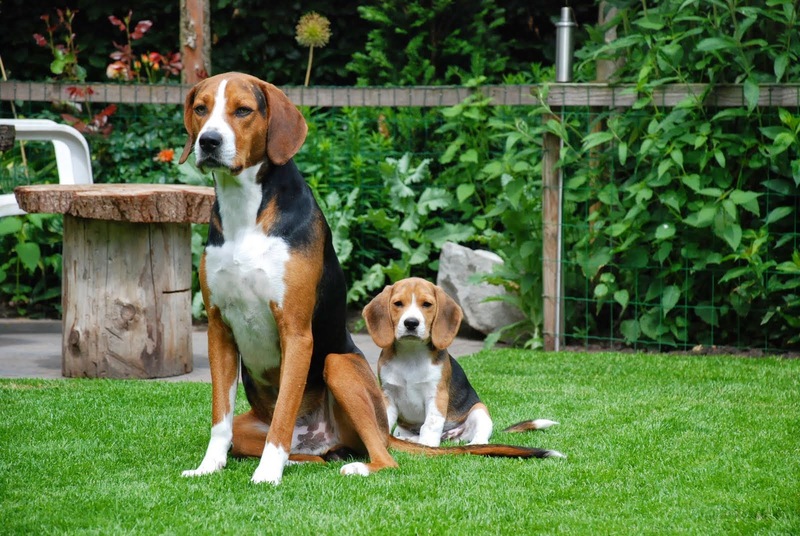 Hamilton Hounds possess great endurance and intelligence, and they can be quite independent and stubborn. These dogs are known for being sweet and friendly, and they make great pets happy to be with the family. They do, however, tend to do what they want instead of what a human might ask. Training requires a lot of enthusiasm and praise. In return, the Hamilton Hound will be a wonderful companion.